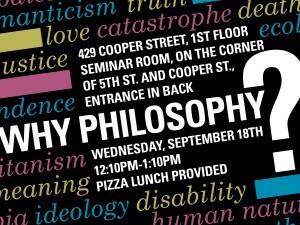 Home » News & Events » News » Why Philosophy? Posted September 18, 2013, in News. 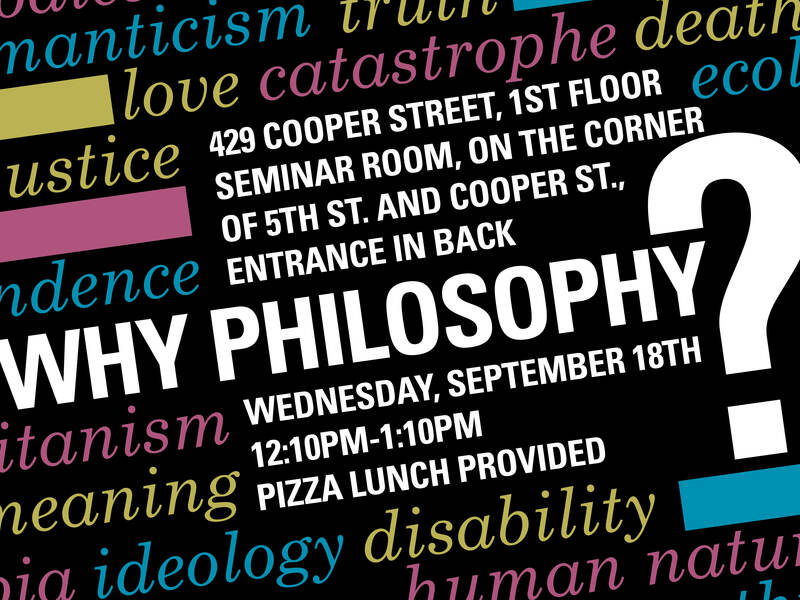 Please join us for a discussion and lunch on Wednesday, September 18th from 12:20 – 1:20 PM in the Seminar Room at 429 Cooper Street, where we’ll ask about the value of philosophy. This page was printed from http://philosophyandreligion.camden.rutgers.edu/2013/09/18/why-philosophy/ at 4:18 PM Friday, April 26, 2019.